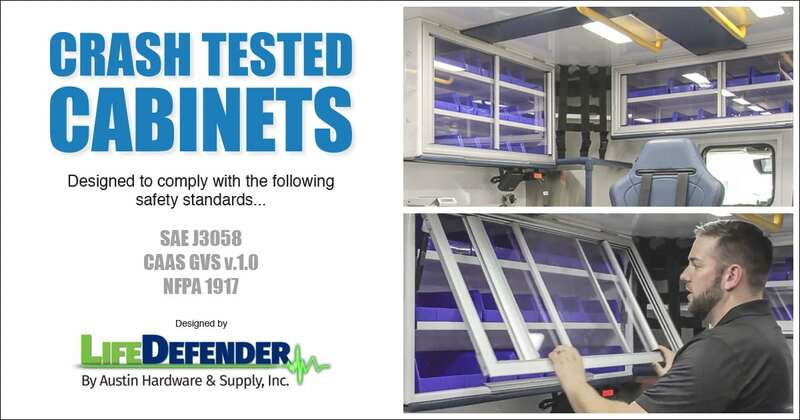 LifeDefender Cabinets - Frazer, Ltd.
New LifeDefender Cabinets – designed to meet, or exceed new safety standards. 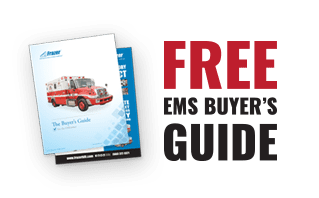 As an Emergency Services Provider, the safety and well being of your patients is of the utmost importance. It’s also critical to know that your equipment remains safe and secure during patient transport. At Frazer, we take safety very seriously and are continually improving our offerings so that you may provide the very best care to your patients. Check out the new LifeDefender cabinets by Austin Hardware. These cabinets offer many safety features and are designed to meet, or exceed the many new safety standards, including SAE J3058. They feature a sliding access frame that increases the safety of your vehicle, due to their latching mechanisms and reinforced structure. We’ve recently incorporated these cabinets and other safety features in customer units like District of Columbia Fire & EMS. Watch as Adam walks through the unit, highlighting the many safety features.